I think I made it pretty clear how much I loved Finger Paints' Fall collection and I have to admit that I've been more than eager to know what to expect for the Holiday. 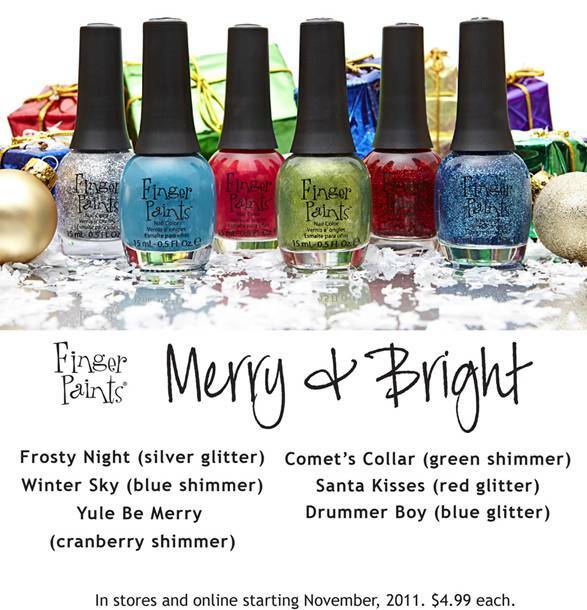 Little Drummer Boy looks almost like a foil at the bottom, but maybe it's silver glitter in a blue base? 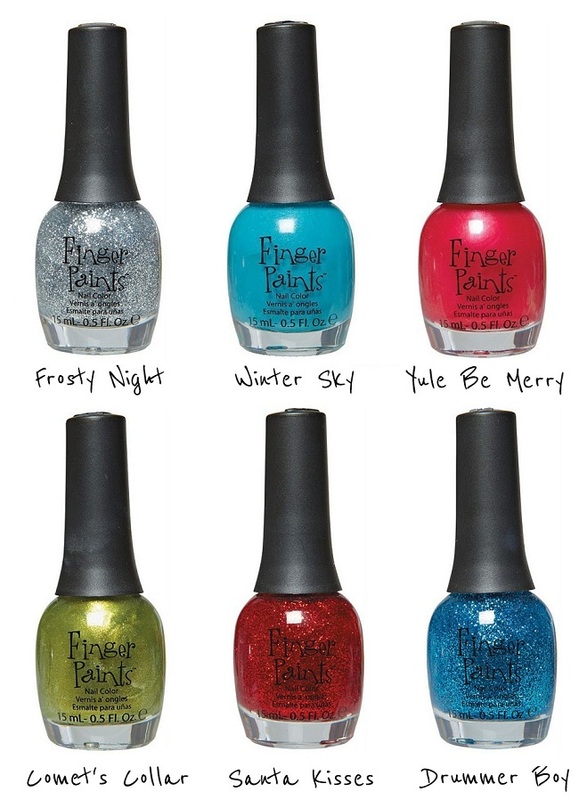 I am liking FP polishes, can't wait for your swatches! Courious to see the first swatches!